A weighing scale or weighing balance is a device to measure weight or mass. These are also known as mass scales, weight scales, mass balance, weight balance, or simply scale, balance, or balance scale. An analytical balance often called a “lab balance” is a class of balance designed to measure small mass in the sub-milligram range. 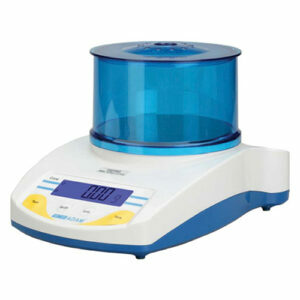 The measuring pan of an analytical balance (0.1 mg or better) is inside a transparent enclosure with doors so that dust does not collect and so any air currents in the room do not affect the balance’s operation.